Growth Teleconference facilitator, Master George Broyles, has arranged for the Federation's Board chair, Sa Bom Nim Susan Fittanto, to present guidance for Instructors and School Owners about the recently adopted requirement for Moo Duk Kwan® Background Checks and Continuing Education during the 6th Growth Teleconference Sunday, January 6th at 5pm PST, 8pm EST. Sa Bom Nim Fittanto operates Rocky Mountain Martial Arts #3 at 240 W. Main Street in New Castle, CO 81647. 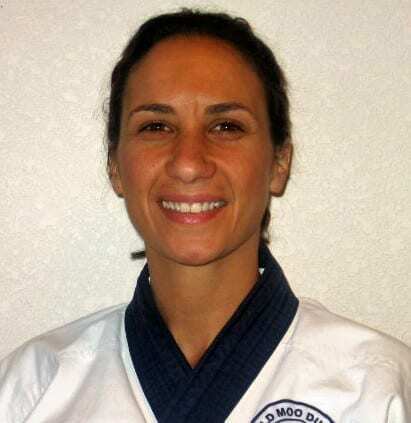 She is an internationally certified Master level practitioner and Master level instructor (Sa Bom) of the Soo Bahk Do® martial art system taught in Moo Duk Kwan® schools worldwide. Fittanto Sa Bo Nim serves as the Board representative elected by United States Soo Bahk Do Moo Duk Kwan Federation® members in Region 8 and the 2018 Board Chairperson. Her Moo Duk Kwan® Dan Bon is 41586 and she has been appointed by the Technical Advisory Committee Chairman as a Technical Advisory Committee Assistant 08/10/2017. Be sure to save the time slot to dial in for his Growth Teleconference presentation on Sunday evening Jan 6, 2018. ← Are You Visible In Your Community?